The MIIRE group is composed of five permanent researchers from the Institut Telecom and University Lille 1, and several PhD students with grants from various institutions. The group also invited famous international researchers for short or long periods. Mohamed Daoudi – Professor, Institut Mines-Telecom. Hazem Wannous – Associate-professor, University Lille1. Lahoucine Ballihi ndash; Assistant-professor, Telecom Lille. Rim Slama (University Lille 1 and Région Nord-Pas-de-Calais grant, PhD Computer Science, expected 2014). PhD advisor: Mohamed Daoudi. Co-directed by Hazem Wannous. 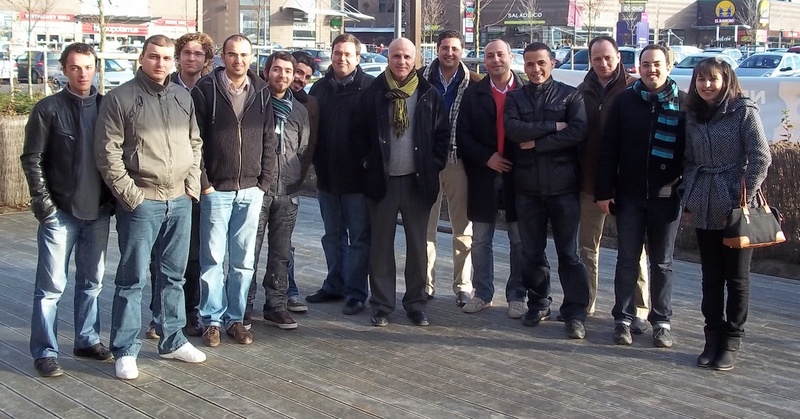 The MIIRE research group on December, 13th, 2010. These visiting periods have been supported by University Lille and CPER CIA. Faouzi Ghorbel, Professor at ENSI, Tunisia (1 month, 2010). George Vass, PhD 1997 (engineer, Nokia, Hungaria).